A week ago I posted about Huey Long, the former Inkspot, who lived to see 105. Now, in less than a week I'm struggling to post about three icons who lived merely a fraction of that time. For those of you who advocate that bad news comes in threes, I suppose you got your wish this weekend when Billy Mays joined Michael Jackson and Farrah Fawcett in the news. He was 50 years old. Tragically young in my opinion. 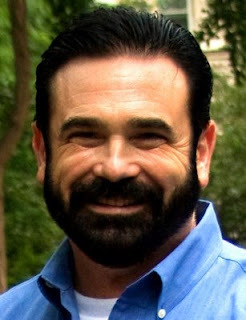 William Darrell "Billy" Mays, Jr. (July 20, 1958 – June 28, 2009) was perhaps not as prominent as Michael or Farrah but he held a spot in the hearts of many. He was a television direct-response advertisement salesperson most notable for promoting OxiClean, Orange Glo, and other cleaning, home-based, and maintenance products. His distinctive beard and loud sales pitches made him a recognizable television presence. He's probably the only reason I keep a box of Oxiclean in my house! Mays was born in McKees Rocks, Pennsylvania, and began his career as salesman on the Atlantic City boardwalk. He travelled across the United States for 12 years, selling various items before he was hired to sell OxiClean and other products on the Home Shopping Network. His success as a TV pitchman lead him to found Mays Promotions, Inc. On April 15, 2009, the Discovery Channel began airing Pitchmen, a documentary series that featured Mays. On the morning of June 28, 2009, Mays was found dead in his home by his wife. Possibly adding to the tragedy is the fact that his passing may be overshadowed by the deaths of Michael Jackson and Farrah Fawcett. A bit ironic? Michael's tenth and final studio album was titled Invincible. It was the last album released in his lifetime. The album was released by Epic Records on October 30, 2001, six years after Jackson's 1995 double disc studio album HIStory. The album art, an image of Jackson's face with his right eye highlighted in a deeper hue (the rest of his face appears as a watermark), is available in five different colors - red, green, orange, blue and silver. 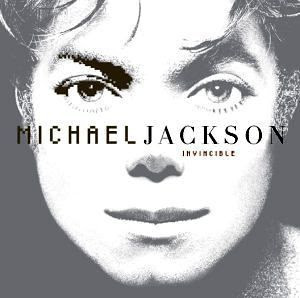 To date, Invincible has sold around 10 million copies worldwide. As a member of the audience, I was actually part of the show. I got to hold up a colored card when we were signaled. According to my sister, it looked pretty good on camera. Whoppie! I also walked away with a commemorative seat cushion that I still use today (wonder if that's worth $600 now) and a worthless transistor am/fm radio. The game wasn't much of a contest either. The Dallas Cowboys spanked the Buffalo Bills 52-17. And some of you know how much I hate the Cowboys. A few years later, I ran into the lovely Farrah Fawcett in Dupar's restaurant - A popular pancake house in Los Angeles. I nearly missed her. She was standing behind a huge pair of sun glasses and waiting at the receptionist's station. I walked right by her. When I was about four steps past her it dawned on me who she was. I turned around to see her smile. She nodded quickly acknowledging my recognition and appreciation. However, it's not my intent to focus on the passing of these iconic superstars but to remind us how they have lived. These timeless moguls are gone but not forgotten. Their accomplishments will be forever heralded and remembered. They have simply joined the list of many who have "Lived The Impossible Dream" of stardom, and fame and fortune. I'm sure you know Elvis and Luther but you might not remember David Ruffin. 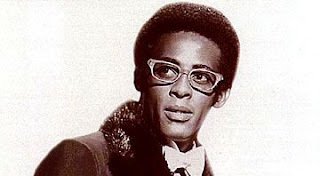 David Ruffin (born Davis Eli Ruffin) (January 18, 1941 – June 1, 1991) was an American soul singer most famous for his work as one of the lead singers of The Temptations from 1964 to 1968 (or the group's "Classic Five" period as it was later known). 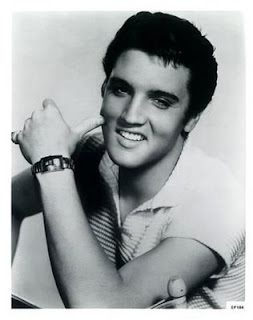 His was the lead voice on such famous songs as "My Girl" and "Ain't Too Proud to Beg". 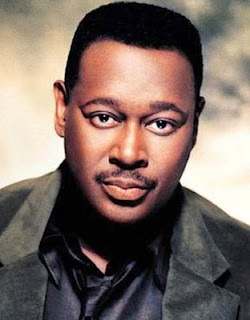 Known for his unique raspy and anguished tenor vocals, Ruffin was ranked as one of the 100 Greatest Singers of All Time by Rolling Stone magazine in 2008. He was inducted into the Rock and Roll Hall of Fame in 1989 for his work with the Temptations. Sadly, he was 50 years old when he passed as well. And here they are singing "The Impossible Dream." Many others will rise to these levels and claim a spot on the grand stand. Their death's will be surrounded by controversy and suspicion. Fans will mourn their departures and miss their contributions. But in their hearts they will have Dreamed and Lived the impossible. Make it a Double Please! As much as I'd like a double "vodka" today, I'm gonna pass. I'll save it up for the weekend. But on a different note, Los Angeles is all "a buzz" today following the recent announcement from the Academy of Motion Picture Arts and Sciences. The Academy revealed that it would double the number of nominees for the best-picture Academy Award to 10 from 5, returning to a practice it used more than 50 years ago. Does that mean that we're going to see better movies hitting the big screen in the future? Probably not. But it does mean a lot more movies will be sporting the title "Nominated for Best Picture." To be precise, 5 more movies each year will hold that title. Do you think it dilutes the prestige of the nomination? I haven't decided yet but I do think it means that the competition and decision-making process may be a little more complicated. I know I usually find it more difficult to decide when the number of options is large. It's easy for me to decide between chocolate and vanilla ice cream but when you throw in 30 plus additional flavors.... look out! That's when I have to order more than one scoop! A time when 10 films were up for the award for Best Picture. 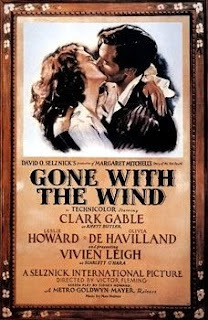 The Academy Award (Oscar) for Best Picture went to Gone with the Wind.! It beat out 9 other movies - Dark Victory, Goodbye Mr. Chips, Love Affair, Mr. Smith Goes to Washington, Ninotchka, Of Mice and Men, Stagecoach, The Wizard of Oz and Wuthering Heights. All, very successful movies. I kinda miss the whole Music Monday thing! It's been a while since I've played. I'm not really playing today but here's a teaser - Just Because! Huey died last Wednesday in Houston. "He was the last surviving Ink Spot from the days when the group still had some of its original members. He lived a long life until the golden age of 105. I was too young to really get into the Ink Spots during their heyday. The truth is, I wasn't even born. I think my first real exposure to their music was listening to Fred Sanford sing a few lines of "If I didn't Care" on an episode of Sanford and Son. Sometime after that and somewhere along the way, I learned to appreciate the Ink Spots and recognize their contribution to American Music history. The Ink Spots can be regarded as forerunners of the doo-wop and rhythm & blues movements that followed their popularity. Born in Sealy, Texas, a farm town about 20 miles west of Houston, Huey started out playing the ukulele. After he finished his adventure with the Louisiana Jazz Band, a visiting aunt took him back to Chicago, intent on getting him some music lessons and starting him out in nightclubs. That's when he switched to guitar to perform with Texas Guinan’s Cuban Orchestra at the World’s Fair in Chicago. 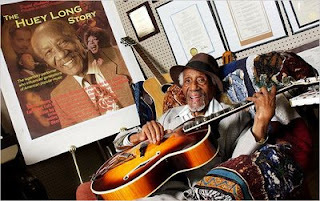 In early 1944, Ink Spots leader Bill Kenny offered Long a position with the group. He stayed with them until 1985, and eventually moved to New York City, where he taught and wrote music. Here's a YouTube video of the group. 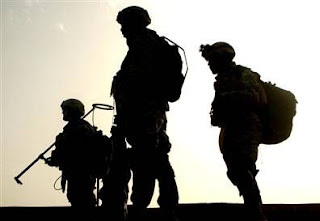 U.S. soldiers from the 1st Armored Division search for weapons caches along the banks of the Euphrates River near the Iraqi town of Hit on April 18. Just remembering a few Fathers who couldn't be home today. Happy Father's Day wherever you may be! Thanks to a tip from an anonymous commenter I've learned that the $134 Billion in Bearer Bonds are fake. So the Mystery is solved right? According to Bloomberg and Stephen Meyerhardt, a spokesman for the U.S. Bureau of the Public Debt in Washington, the bonds are no good. So was this just a simple idea to swindle some unsophisticated and unsuspecting thief or thieves looking to buy U.S. debt at a discount? Or is this part of a deeper and more elaborate conspiracy? Frankly, I find the denominations staggering! Perhaps this lends itself to the "hide in plain sight" theory suggested by some of your comments on my posts. That is; this number was so ridiculously large that some might even believe that they were authentic. But who would really bite on such huge numbers? I contend that any legitimate buyer would certainly exercise due diligence and verify the authenticity of the bond/bonds before purchasing even a $500 million debt instrument. So I submit that this was probably the conclusion of one of three possible scenarios. The two Japanese criminals were part of a scam aimed at tricking some underworld or rogue buyers. These target buyers were possibly criminals attempting to launder some dirty money or terrorists hoping to increase their war chest, or just unsophisticated greedy criminals hoping to score big. To these groups, it's plausible that the Japanese government (represented by the two men with Japanese passports) could have possession of that much U.S. debt and be willing to dump it on an open market for a number of reasons. Some unnamed or unidentified entity is sending a message to the United States and the rest of the world that they have the capability to print and negotiate "realistic" counterfeit debt instruments. This naturally would be an item of immediate concern to the national security of the United States. The hidden message here would be that the U.S. currency is in jeopardy and is risky. A compromised U.S. dollar would be devastating to the U.S. and global economies. This was part of a complex "chess match" pitting the world economic powers against each other. Each move calculated and every opponent's move scrutinized, analyzed, and countered. The purpose of this little exercise was to test and analyze the intelligence capabilities of the "super-power" nations. According to the Italian authorities, the seized notes included 249 securities with a face value of $500 million each and 10 additional bonds with a value of more than $1 billion, as well as securities purported to be “Kennedy” bonds. Meyerhardt said no such securities exist. Nowadays, Treasury securities are issued electronically. The U.S. started converting all of its marketable debt from paper to electronic form in the 1980s. Meyerhardt also said Treasury records show an estimated $105.4 million in bearer bonds have yet to be surrendered. Most matured more than five years ago, he said. The Treasury stopped issuing bearer bonds in 1982. Interesting! $105.4 million is a tiny drop in the bucket compared to $134 billion. Don't you think? So why wouldn't the U.S. Government speak up immediately to denounce these bonds as fakes right away? Why did it take nearly a week for the word to come out? In my estimation, these were the right answers to minimize the risk to the U.S. currency. By announcing to the world that there are only $105.4 million in bearer bonds on the open market, and that bearer bonds were no longer issued after 1982, the U.S. has essentially minimized the realistic possibility of anyone counterfeiting and exchanging more than $100 million in physical bonds. And by declaring them fake- Well, imagine if they were real; The U.S. may have just wiped 134 billion dollars off of the books. My question is why so much silence and why has it taken so long for valid information to come out? In this world of super technology and high tech communication devices, I want my information two minutes ago. I still find this entire episode quite curious! Do you believe what you read and hear? "Cloak and Dagger." "Cat and mouse." We're all very much part of the Game! The Mystery continues and it is starting to create a buzz around the world. If you're interested in this story, please let me point you to a blog with more information. 134 Billion dollars in Bearer Bonds! You're Kidding Me! Okay, I've just got to stop what I'm doing and ask the question - What possibly could be going on here? If it looks like a Duck, smells like a Duck, sounds like a Duck; Maybe it's a Duck! I just heard about this and my curiosity is peaking! On Thursday, June 11, 2009 Italian police of the Guardia di Finanza seized US$134 billion of United States bearer bonds at the border with Switzerland at Chiasso. The bonds include 249 Treasury bonds worth $500 million each, and ten $1 billion Kennedy Bonds. Bearer bonds are unregistered bonds that are redeemable by whoever is in possession. The bonds were being transported by two men claiming Japanese citizenship. The bonds were undeclared and were uncovered by inspectors beneath a false bottom in a suitcase. The United States no longer issues bonds in such high denominations and according to the U.S. Treasury, only China, Japan, and Russia own this much in U.S. debt instruments. So are these bonds forgeries? No one is saying yet. So they must be pretty good forgeries. And that creates a bigger set of issues and questions. But if they are genuine, Italian law will permit the Italian government to seize 40% of the value, some $54 billion for failure to declare these bonds. That's a big bonus for the Italian government and Seppuku for the transporters. Dumb move guys! And if they are real, what the heck was going on? Who walks around with 134 billion dollars of negotiable monetary instruments in their possession without armed guards and high-tech security. Once again- Dumb move guys! Unless you're up to no good! And then you have lots of guns and ammunition with you and fight your way out. Still a Dumb move! The Japanese government has said that they are aware of the situation and that they are working with the Italian government to confirm the identity and nationality of the individuals. A bearer bond is a debt security issued by a business entity, such as a corporation, or by a government. It differs from the more common types of investment securities in that it is unregistered – no records are kept of the owner, or the transactions involving ownership. Whoever physically holds the paper on which the bond is issued owns the instrument. This is useful for investors who wish to retain anonymity. The downside is that in the event of loss or theft, bearer bonds are extremely difficult to recover. Blogging for the Homeless! or The Homeless Blogging! We've all seen them. Every city seems to have them. I think somehow we all individually find a way to rationalize their existence in our minds. We reason that some are mentally ill. Some are substance abusers. Some just don't want to work at all. Some of us even question why we should give them our hard earned dollars when we know they'll just use the money for drugs or alcohol. Right? Sound familiar? Last week, while waiting at a traffic light, I watched a woman sitting behind a "Hungry! Please Help" sign pull out a cell phone and make a call. She talked for the full 2 minutes I was at the light and was chatting as I pulled away. No one gave her money while she talked. The contradiction was clear..... Here's a seemingly homeless woman sitting on the ground with no food yet she still has a cell phone and service. Where do they send her bills? Perhaps a tactical error on her part unless she was using her telephone to advocate for homeless people? My guess - Probably not! So while I sat there, I pondered the life of a homeless person in Los Angeles. It's got to be better than being homeless in Green Bay, Wisconsin or Chicago in winter but certainly nothing to aim for. I also reflected back to a time a few years ago when I was running several times a week. My jogs took me along a stretch of Santa Monica Boulevard in Beverly Hills. On the north side of the blvd. 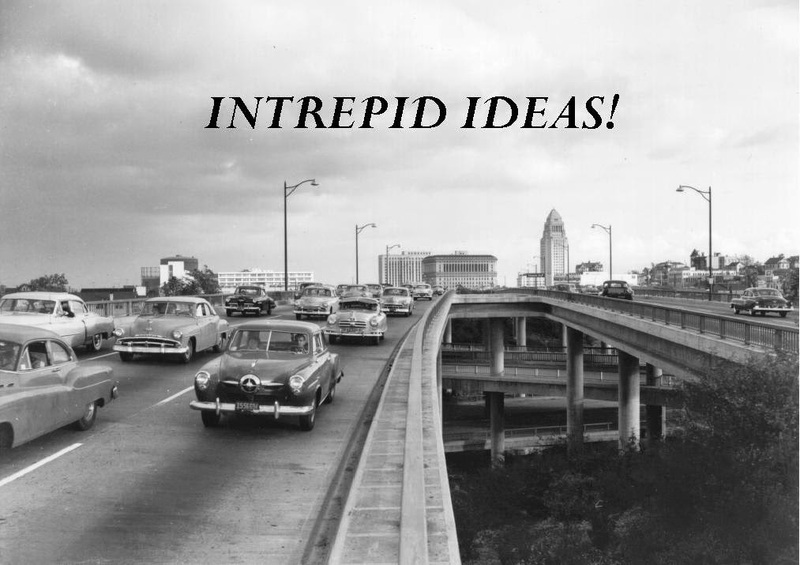 between Doheny and Wilshire Blvd. is a nice walking/running path. Many mornings I'd find myself up and running before the sun came up. That's when I first noticed that this area was also the temporary home to some of the city's homeless population during the night. It was eye-opening to jog by as they stirred from their slumber on the benches that lined the walkways. I eventually reached a point when I knew their schedules and locations. Two of the people occupied benches about a half a mile apart. I was startled once by a third person who made his nightly nest in some bushes just off the trail. As I ran by I heard a rumbling noise in the bushes. Not knowing what or who was hiding in the bushes, my response was to turn on the jets and run faster. As I looked back over my shoulder I spied a gentleman zipping up his pants after relieving himself. I think I scared him as much as he scared me. From that day on I knew where to look for him as I ran by. He was usually the last one of the three to wake up. This continued for a few months and then one morning - They were all gone. I don't know if the police asked them to (uhmnnn!) move on or if they found a better place to hang out or what. I suppose in my optimism I always hoped and imagined that they found a more comfortable and better existence. The reality is, they probably moved further west on Santa Monica...... Where they could interact with more people and not be hassled. During this period I heard a song on the radio. Mr. Wendal by Arrested Development. I'm playing the Youtube video below. When I first heard the song I thought it was a catchy tune. I enjoyed the grove. I really didn't listen to the message. The song was written about the plight of the homeless and encourages people not to ignore them just because of their status or how they look. The lyrics imply that there is wisdom to be gained by listening to the homeless. I think I now have a better appreciation of the message the artists were trying to project. To illustrate this point, Eric Sheptock, a homeless man in Washington D.C., has just found his voice through modern technology and the Blogosphere. And people are listening. All in all, people are homeless because they can't get a job and they can't get a job because they're homeless. It's a catch-22. "Will it change the outcome if I worry?" Many years ago I was watching an episode of Kung Fu starring David Carradine. In this episode, Kwai Chang Caine (played by Carradine) was riding in a wagon with another character. I think the other character was played by Slim Pickens but I'm not sure. These two stars were riding into a town filled with bad guys where an inevitable fight to the death awaited them. The other character was visibly upset and worried. To be more accurate, he was absolutely terrified! Scared @#$%-less. As they rode, he looked over at the cool, calm, collected Caine and said something to the effect- "Why aren't you the least bit worried? We're headed into a town where we will be out-numbered, out gunned, and probably stand a pretty good chance of getting killed. And you're not even a little bit concerned?" "Will it change the outcome at all if I worried?" This line resonated long and true for me. Many times in my life when I was faced with danger, adversity, fear or challenge, I remembered this line. I asked myself the question "Will it really change the outcome if I worry more?" The answer was usually no..... I can't say for sure that the process stopped me from worrying completely, but thinking through it usually calmed me a bit. It was my rational approach to dealing with my emotional fear. So imagine my dismay and personal conflict when today I learned of the apparent suicide of the speaker of those words. David Carradine, who so convincingly uttered those words that have provided me so much comfort over the years was found dead in a Bangkok hotel. Perhaps as a personal response to whatever he was dealing with. According to police, the 72-year-old actor appeared to have hanged himself. was staying at a suite at the luxury Swissotel Nai Lert Park Hotel. "I can confirm that we found his body, naked, hanging in the closet,"
He said police suspected suicide. 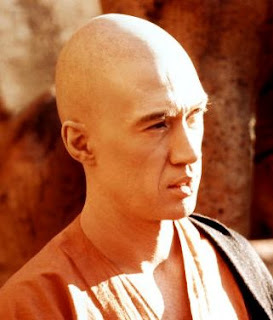 Interestingly enough, Carradine supposedly was picked over Bruce Lee to play the leading role in Kung Fu. 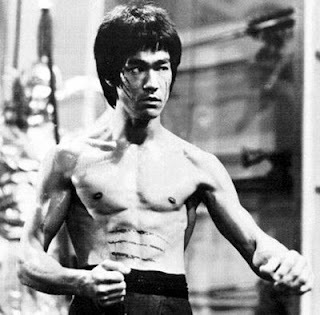 Bruce Lee, who was touted for his athletic build and martial arts skill later went on to become a Martial Arts Mega King and die of a drug overdose under somewhat suspicious circumstances. Rest In Peace Shaolin Brother! May your worries also be laid to rest!